The 2012 edition of Chambers USA: America's Leading Lawyers for Business recognizes 32 Wiley Rein attorneys across 15 practice areas of law. In the area of Telecommunications, no firm received more individual rankings, reflecting the depth of talent and outstanding experience for which the firm is known. 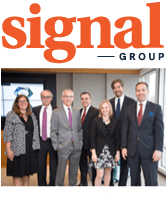 Five groups are ranked in the directory's prestigious top tier, with Election Law & Government Ethics and Government Contracts rated nationally and Insurance, Media and Telecommunications recognized in the DC area. Chambers and Partners conducts research for their directories, including Chambers USA, using more than 130 full-time researchers who interview thousands of attorneys and their clients around the world. According to Chambers, "This intensive, continuous research identifies the world's leading practitioners and law firms - those which perform best according to the criteria most valued by clients."